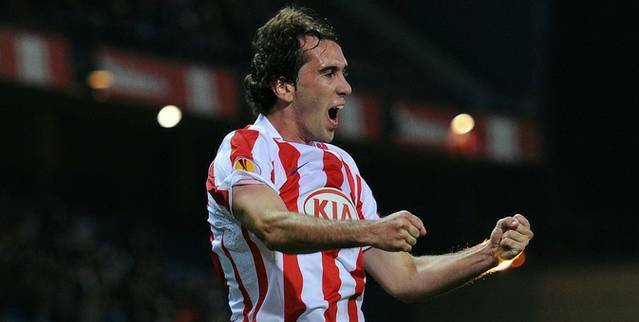 Chelsea are set to renew their interest in Diego Godin with a fresh bid for the defender in January. Andre Villas-Boas is keen to bolster his back four when the window reopens, especially as he is prepared to let Alex join Italian giants Juventus. The Portuguese coach was keen to take Godin during the summer window, and reports in Spain claim he will make a fresh approach for the Uruguayan in the new year. Former Blues' boss Carlo Ancelotti had a £15m bid rejected for Godin prior to signing David Luiz last January. Villas-Boas has not been impressed by Alex since taking over; the Brazilian has not played since he was sent off against Fulham in the Carling Cup and did not make the 20-man squad for last month's trip to Valencia. The Stamford Bridge club are prepared to pay in the region of £14m to land the 25-year-old, who has been at Atletico Madrid since 2010.